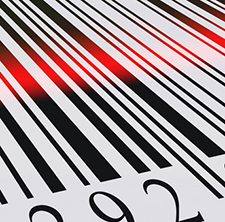 Barcode solutions is important for many businesses. In fact, warehouses, distribution centers, logistics companies, and manufacturers cannot function without effective barcode solutions. This is because barcoding helps businesses with management functions, such as asset and/or inventory tracking. Although barcoding is designed to provide a visual inventory and to ensure that physical inventory is accurate, sometimes barcoding IT support is needed. 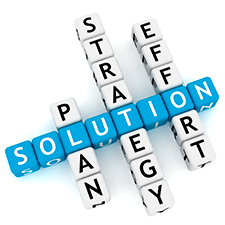 This allows a company the opportunity to reduce stock levels and thereby reduce carrying costs. It also reduces the time taken to collect data for purposes such as annual inventories that results in improved efficiency and lowering operating costs. Barcode solutions can be entirely customized as per business requirements.The barcodes can be printed on labels of different sizes, and shapes. For instance, you could have a round barcode label, or a rectangular barcode label. The shape of the label is often determined by the surface on which it needs to be stuck. 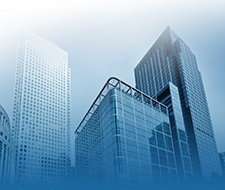 Barcode solutions have proven to be useful in various types of business ventures. 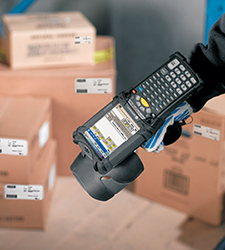 It makes inventory management easier for everyone involved as scanning the barcodes using handheld scanners makes inventory count quicker and more accurate. It can also be used to better track documents and assets, and monitor field employees.